 Airports: The nearest airports are Venice Treviso (for budget European airlines such as Ryanair) and Venice Marco Polo. Verona and Trieste are options if you are going to Cortina, Pieve or Auronzo, though on public transport these are much longer journeys, and Innsbruck is a good option for San Candido/Innichen. Train: Pieve di Cadore is very near a train station (Calalzo di Cadore, 10 minutes by bus or taxi) and San Candido has a train station (on a different line which does not interconnect and is convenient mainly if you are coming from northern Europe). Both Auronzo (30 mins) and Cortina (30 mins) will require bus connections which are relatively frequent but you won’t want to arrive too late in the evening. Train is the best option from northern Europe or Innsbruck airport if you are going to San Candido. There are regular trains from Innsbruck to San Candido (changing in Fortezza) (you will need a bus connection for Cortina, Pieve di Cadore and Auronzo di Cadore) (www.trenitalia.com). Bus: From Venice Marco Polo or Venice Mestre train station the Cortina Express or ATVO bus services are the quickest option because they are direct (www.cortinaexpress.it, www.atvo.it). Flixbus also do occasional services to Cortina from Venice and are significantly cheaper (www.flixbus.it‎). 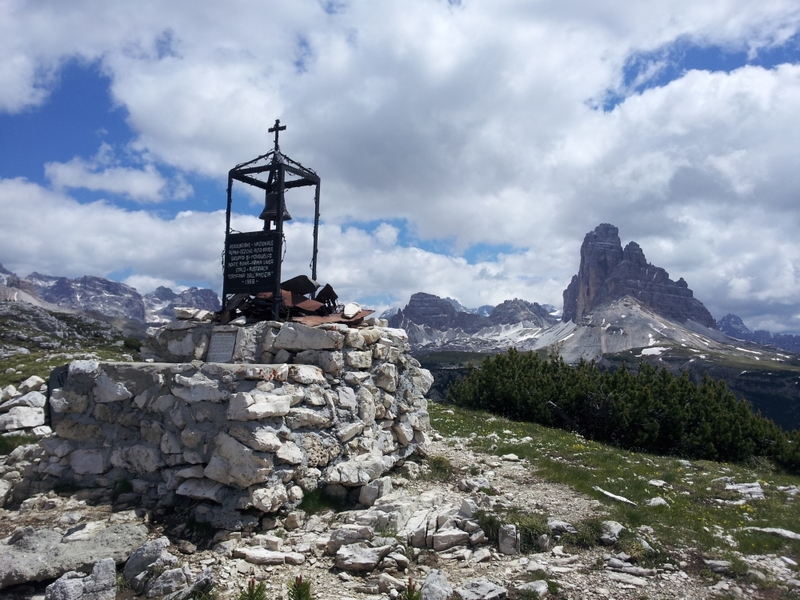 The third week of June to the second week of September is approximately full season and there are buses to Cortina, Tai di Cadore (5 minutes by bus or taxi to Pieve and 30 minutes to Auronzo) and San Candido. Thereafter a much reduced service runs only to Tai di Cadore and Cortina. 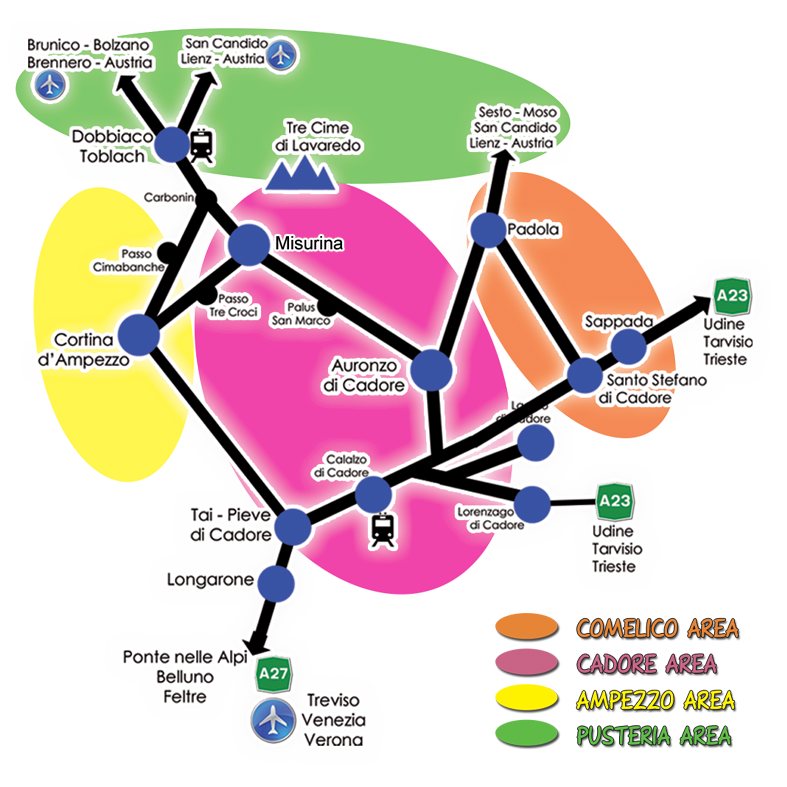 Note that these buses do not stop at Venice Treviso (there is a stop at a nearby shopping mall – Emisfero) and a taxi/bus from/to there is an option) and bus and train may be the quickest option here. Note that summer bus timetables will not come out until June at the earliest. For San Candido/Innichen there are airport buses taking 3 hours approx. from Innsbruck airport (www.altoadigebus.com). Self-guided walkers: our self-guided service includes help and advice on all transport to walks and we will also be happy to arrange private transport if preferred. Most of our walks have been chosen with public transport in mind but can also be done with your own or a rental car. Venice Marco Polo airport: note that the bus stops for Cortina are a 10 minute walk from the terminal at a different location from the other bus stops – leave time. At the row of bus stops at arrivals, turn right and follow the covered walkway all the way to the end, through a series of car parks. When the walkway ends, in a large car park, look right where you will see a large open coach park area. This is where you wait for your bus. There are currently no signs. Venice Mestre station: with your back to the station turn right along the station approach road. The Flixbus stop is 50 metres along this road. For Cortina Express and ATVO buses keep going a little further to an open coach park area on the right. Ski lifts: San Candido and Cortina have a range of ski lifts in or near town which make getting to high altitudes easy. Bear in mind, when choosing when to come, that Cortina’s ski lift system operates from the third week of June to the second week in September IN GENERAL whilst some of San Candido’s lifts are already running in late May and stay open until mid-October. 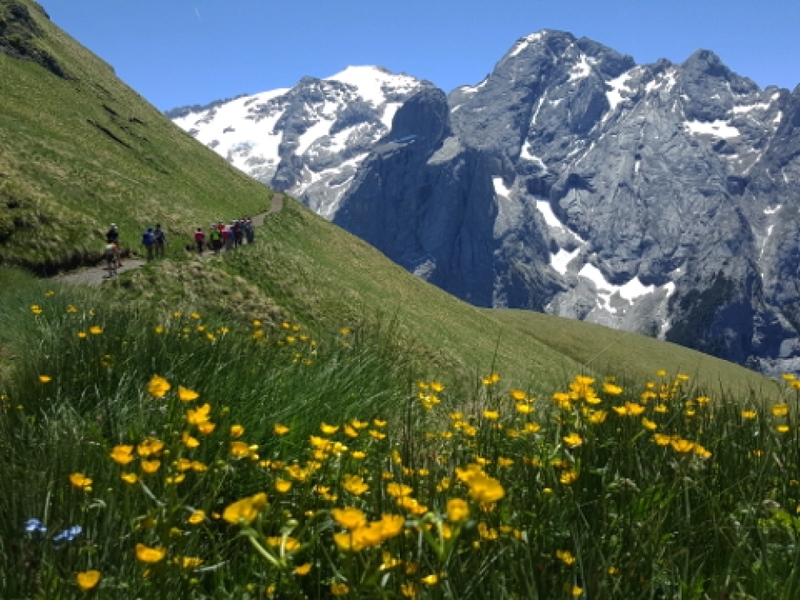 Auronzo has one ski lift which operates from mid-June to mid-September. 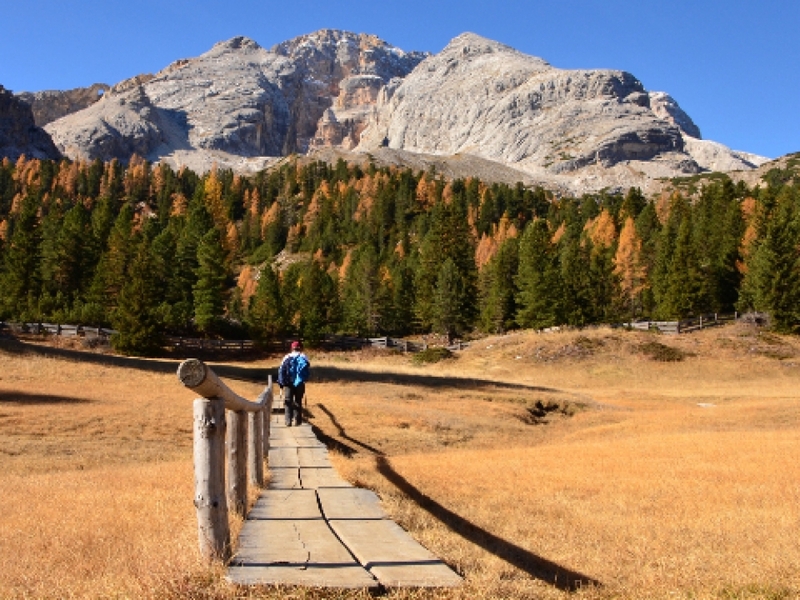 Pieve di Cadore is a quieter walking destination and has no lifts.